Friday where I work is “cake day” and though I don’t miss how I used to feel before I started SCD, I do miss the joy of eating something special. Don’t get me wrong, my muffins and cakes taste better than anything I used to make before but every now and then I crave something a little different. I’ve been dreaming of making these for a few weeks now. The inspiration came from my husband eating an “Iceberger” one day. I thought to myself, I could make an even better, healthier version of that. 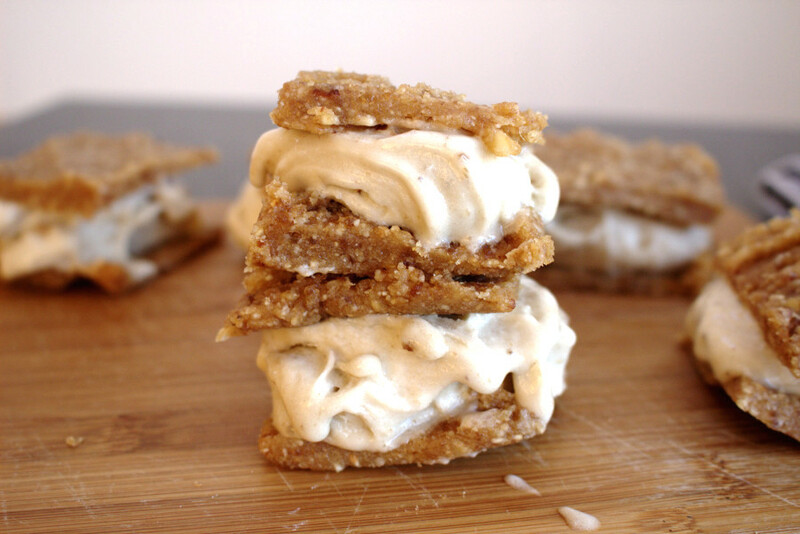 Thus, Banana Ice Cream Sandwiches were born. My oh my are they good. These are great because you can keep them in the freezer and take one out whenever you like. They taste best if you leave them to thaw for about 10 minutes before eating. 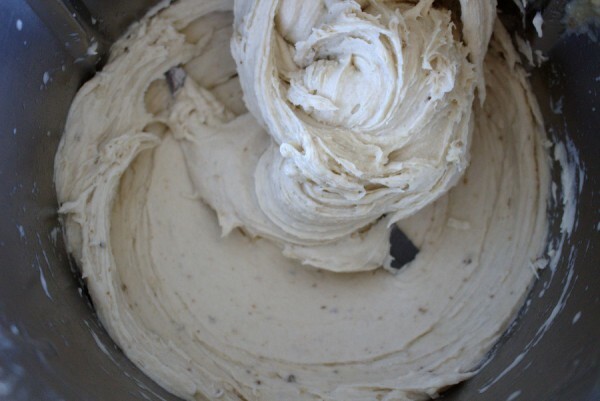 The banana “ice cream” comes from blending just frozen bananas. Nothing else. You will not believe the “creamy” texture that you get. To see how to freeze bananas correctly, click here. The sandwich part is inspired by my healthy two-ingredient Larabars which work perfectly. The final result is totally delicious. Even my husband agreed. 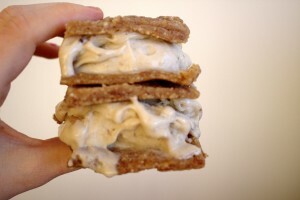 So it’s goodbye “Iceberger”, hello healthy Banana Ice Cream Sandwiches. As with most of my recipes using dates and nuts, I like to soak them separately first before blending them. I find they break down better in the blender and they are also easier to digest this way. This extra step really does make all the difference. Dates and bananas are both naturally high in fructose so even with no refined sugar, these Banana Ice Cream Sandwiches will give you a healthy sugar-rush. As with all sugar (even natural sugar), eat these in moderation. Trust me as someone who has overeaten dates on a few occasions, your digestive system will thank you! I make these as a special treat rather than an everyday snack. 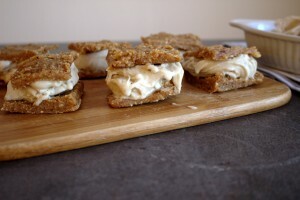 Delicious Banana Ice Cream Sandwiches which are gluten-free, grain-free, dairy-free and refined sugar-free. Healthy food never tasted so good! 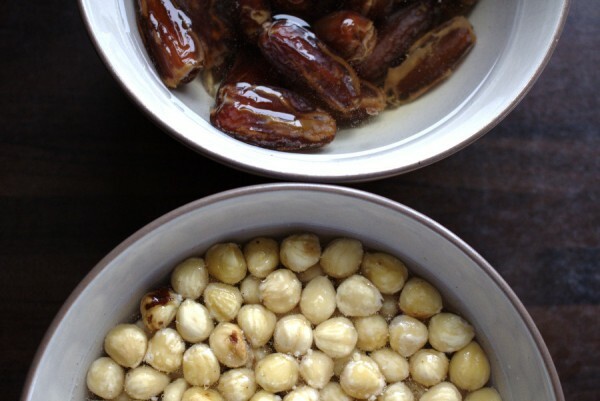 For the "ice cream filling"
Drain the soaked dates and hazelnuts and blend together in a powerful blender until well combined. Grease one large or two small dishes with a little coconut oil, then press parchment down into them firmly. Scoop the mixture into the dishes and press down well with a fork. 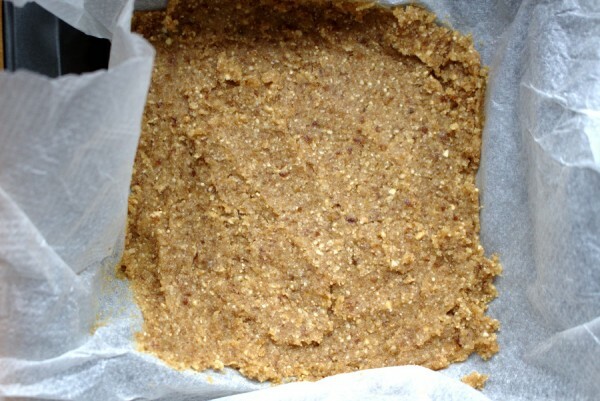 You want the mixture to be quite thin (less than 1/4 inch). Freeze the tins for a couple of hours. 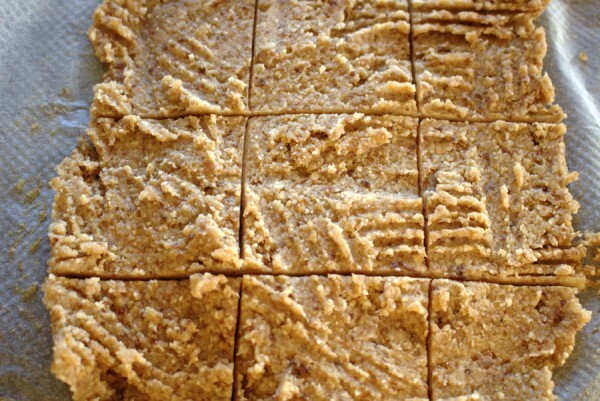 Once firm, cut the mixture with a knife into squares. You should get roughly 18 similar size squares. Next, blend the frozen bananas in a powerful blender until you get a creamy consistency. Scoop some banana "ice cream" in between two squares for each sandwich. This should make 9 sandwiches in total. These should be kept in the freezer, ready to pull out once the craving for something sweet comes!